Napco / Thermo Model 6508 / Cat. No. 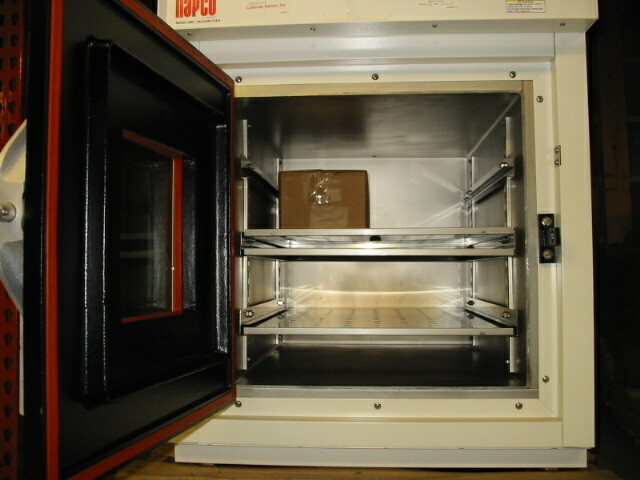 51220169 Vacuum Oven. 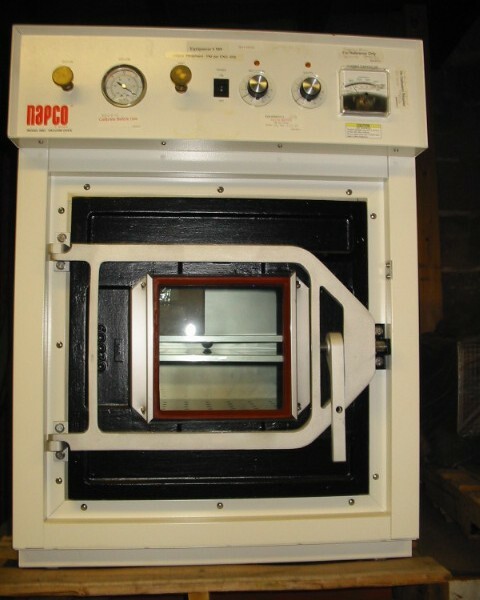 Ideal for production of semiconductors. 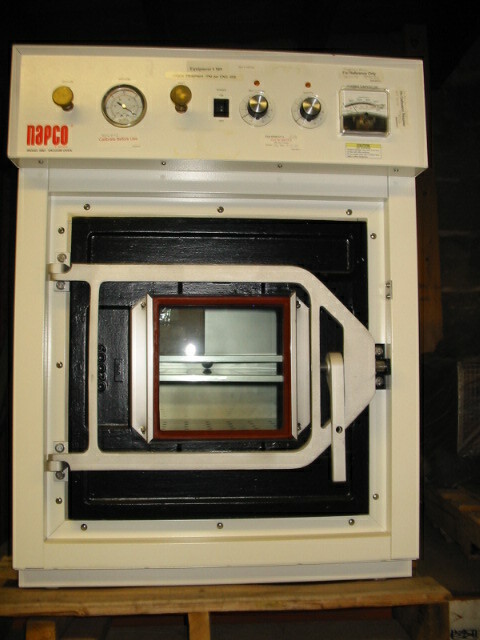 All stainless steel chamber resists corrosive atmospheres and aromatic hydrocarbons. Walls are insulated with 2″ of fiberglass. 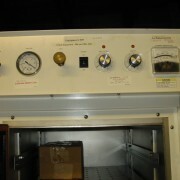 Unit incorporates a 0-762 mmHg ( 0 – 30 in Hg ) vacuum gauge. 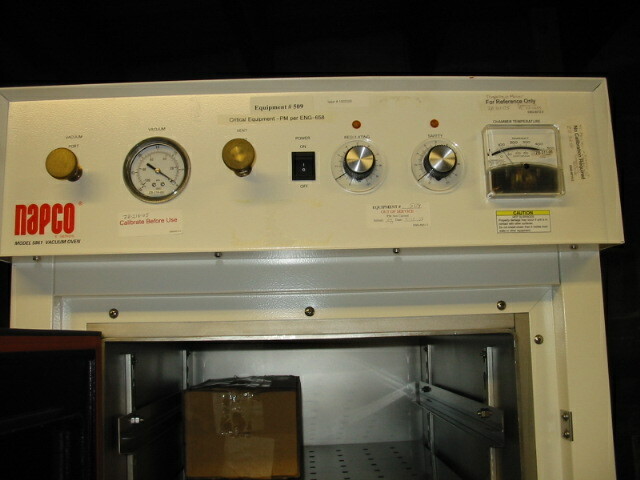 Calibrated thermostat dial controls temperature from 35 to 200 C ( 95 to 392 F ). Two metering valves provide fine adjustment for vacuum, purge, or quick pump-down/back-fill systems. 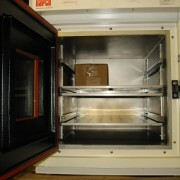 Highly heat-resistant silicone door and window gaskets are standard. Large 8″ tempered glass window provides full view of interior.